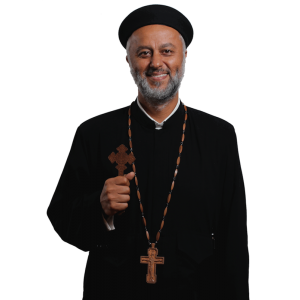 Father Cyril Gorgy was born in Egypt and raised in Los Angeles. He holds a Bachelor of Science degree in Civil Engineering from California State University, Northridge. Prior to his consecration and ordination, he worked as an Area Manager for the California Department of Transportation for more then 20 years. In January 15, 2012, he was ordained as a presbyter by His Grace Bishop Serapion to serve in the Diocese and assigned to St Mark Church in Los Angeles where he continues to serve.